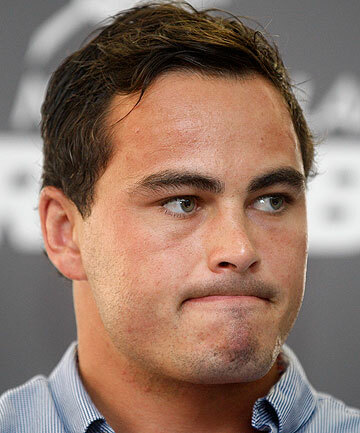 Zac Guildford wants to repay the Crusaders for supporting him during a troubled year by renewing his contract. Guildford’s deal with the Crusaders and the New Zealand Rugby Union expires after the Super Rugby season but he is eager to return for his fifth season with the franchise. He also confirmed he wants to add to his 10 test caps by playing for Hawke’s Bay and prove to All Blacks coach Steve Hansen he can still be of value on the international stage. “I am going to stay [in New Zealand]. It will be with Hawke’s Bay and the Crusaders – I just need to sign that stuff off,” Guildford said. Earlier, when he hinted he was looking to play overseas, Hansen contacted him and encouraged him to stay. Guildford’s close friend Israel Dagg is already contracted to the Crusaders for another season. The exodus of wings to overseas clubs has given Guildford, who last played for the All Blacks when they met Ireland in Christchurch last year, a better chance of playing at the top level again. Hosea Gear, Rene Ranger and Richard Kahui are leaving, while Cory Jane is still recovering from a knee injury. Coach Todd Blackadder, who has stuck by Guildford following a series of alcohol-related incidents, will be eager for the wing to repay that faith against the Chiefs on Friday night as the Crusaders push for a home qualifying finals match. The wing had one of his brighter games during last Saturday night’s 40-12 win over the Highlanders and was unlucky not to score following his charge-down of Ma’a Nonu’s clearing kick.